Read our helpful guide to second hand Citroen DS3. AA Cars works closely with thousands of UK used car dealers to bring you one of the largest selections of Citroen DS3 cars on the market. You can also browse Citroen dealers to find a second hand car close to you today. 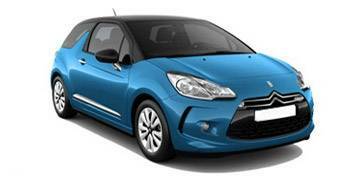 All used Citroen DS3 on the AA Cars website come with free 12 months breakdown cover. Like its rivals the Mini and Fiat 500, the Citroen DS3 takes its inspiration from an supremely popular retro car which is long since discontinued. Unlike its two rivals however, the DS3 bears little relation to the original - the Citroen DS - and instead is a smaller, redesigned version of the Citroen C3. More fun to look at and to drive than the C3, it makes for a surprisingly punchy city car - even in the entry-level 1.4 petrol. Even more surprisingly is the DS3 Sport, which with nimble handling and a 1.6 turbocharged engine, gives the Mini and 500 a real run for their money, even if it doesn't quite share their retro-cool factor.